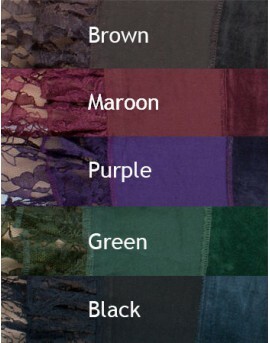 Beautifully made cotton and lace wrap around skirt with a distinctive velvet border. It has a lovely ruffled hemline that adds a flirty feel, which will enhance your movements as you stomp to your favorite beat. The delicate lace pattern is further emphasised, when layered over simple leggings or tights. Not only is it beautiful but functional with a single pocket made of cotton with a zip for extra security. This skirt will fit you if your size is in between UK 4-16 | AU 4-16 | US 1-12 | EU 32-44.